Maybe it was the mild winter, or the cool summer. Or maybe it’s just that time flies when you’re having fun. Whatever it is, it’s September already! Last year at this time, I was putting all the final touches on my wedding planning and preparing to say “I do” to my best friend. We got married on September 27 (click here to see our beautiful wedding photos! ), on a sunny Indian Summer day. Time sure has flown by! It’s been a year and I still haven’t had time to change my name legally, finish our registry or unsubscribe myself from all the bridal lists I’m on. I think I’ll eventually get to the whole name changing thing (let’s face it, Amy Storer-Scalia doesn’t have the most appealing initials), and we’ll definitely get the food processor we fell in love with but no one got us. But I don’t think I’ll get around to unsubscribing to these bridal e-mail lists! I secretly like keeping tabs on the fascinating, ever-changing bridal industry. I love the glamor and uncompromising attention to detail. Everything is polished, pristine, posh and pretty. And even though I already had my special day, a girl can dream… even if it’s just of what I’ll wear to our vow renewal ceremony! I put together this list for all you chic brides-to-be, Mothers of the Bride, bridesmaids, maids of honor or anyone else out there like me who secretly loves to watch the wedding world from afar. The 20s made their way back into mainstream fashion over the past few seasons, and now with Pin Me Up Couture, they’re roaring into the wedding scene as well. This line is a sassy local duo that focuses on modern day glamor — with a twist. 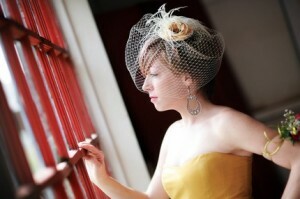 From classic retro birdcage veils to funky hair pieces these girls know how to make you look and feel fabulous. Pieces are available on Etsy, The Bridal Shop located on Mainstrasse in Covington and they also do custom creations. Folchi’s Formal Wear invites you to enjoy champagne and appetizers while viewing the latest in men’s wedding attire. Register to win five free rentals for your wedding party. 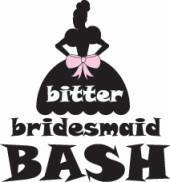 The third annual Bitter Bridesmaid Bash is coming to Covington on Sept. 10! Wear your favorite (or least favorite) retired bridesmaid gown for a pub crawl through Covington’s MainStrasse. Cost of admission is $10 OR the donation of a bridesmaid gown for Kenzie’s Closet (www.kenziescloset.org) All proceeds benefit Kenzie’s Closet. 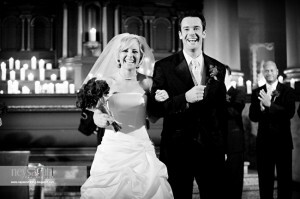 For more information or to see photos from 2007 and 2008’s Bashes, visit www.the-bridal-studio.com. There will be raffles and silent auctions, a photo booth, discount drink tickets and loads of fun! For more information or to RSVP info@the-bridal-studio.com. Couture Designer dresses, off the rack, marked down by 75%. Sounds unbelievable, right? Well, believe it or not, it’s happening. “The Platinum Event” – which happens only once a year – will be taking place on Monday, September 21st from 5-8pm. Brides need to RSVP (to European Bridal at 513.821.6505) for the event and space is limited. There will be goodie bags and door prizes for all RSVPed attendees! On Cincy Chic, we’re giving away a $25,000 wedding and a $5,000 makeover to local breast cancer survivors. Click here to learn more and see if you could be the lucky lady to get your matrimony or makeover for free! “Cheap” and “Chic.” Oxymorons, right? Not here on Chic This Week! A recent reader’s comment on my blog prompted me to start a monthly “Cheap Chic” post to show you how to have a fab, but frugal, lifestyle here in the Tri-State. Just because it’s chic does NOT mean it’s expensive. Not to go into too many details – but just so you know where I’m coming from – I am the daughter of a hard-working secretary and teacher. We didn’t have much money at all. But my parents were very smart with what little money they did make, and – regardless if it was prunes or a prom dress – my mom always did her homework before she made any purchase. Even though some of her tactics were a little over the line (making me order 12-and-under meals when I was clearly old enough to drive), I still carry many of her money-saving mantras with me today. So, this post will be one of many future public service announcements to all you recessionistas out there. I have four fantastic Cheap Chic Labor Day sales you need to check out! A New Attitude Beauty Studio invites you to experience their best of the best this month… Beauty on a Budget! $50 off Brazilian Straightening Treatment– Fight humidity and frizz this treatment will eliminate blow drying time and lasts up to 3 months! FREE Full Body Spray Tan with Teeth Whitening– Sunless tanning a safe alternative is specialized to your skin type. 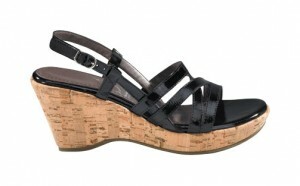 Cincy Designer Shoes: Life is Too Short to Wear Ugly Shoes! Cincy Designer Shoes is a one of a kind, full-service shoe salon in the heart of Hyde Park Square. Their goal is to bring unique designers to the shop, offering customers shoes and handbags not found in the malls or surrounding areas. 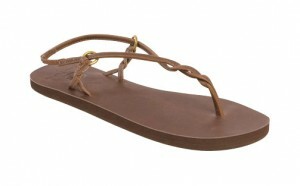 Each shoe they carry was carefully hand-picked by their expert staff. They have one rule of thumb in selecting stock: They have to love it! Stop in today to see the hottest fall arrivals and let their shoe consultants help you select the “perfect shoe” for any occasion! Remember life is too short to wear ugly shoes…What are your shoes saying about you? Mention “Cincy Chic” and receive 10% off any purchase! If you haven’t already visited Bova‘s 25,000 sq. ft. showroom, you are missing out on viewing the best selection of contemporary furniture in the Tri-State area. It is well worth the trip! Bova carries a complete line of furniture from bedrooms to dining, living to office, entertainment units to home theater seating, as well as rugs, lighting and colorful accessories. Bova is having their largest sale of the year this Labor Day weekend! Friday Sept. 4 to Monday Sept. 7. Mention “Cincy Chic” and receive a free ECO BAG. Tuscany Spa.Salon is offering amazing Labor Day Specials from Monday, August 31 through Sunday, Sept. 6. Get ready for Labor Day… Revitalize your Look… Rejuvenate your Spirit. Fun side note about Tuscany: The Cincy Chic staff and I had a makeover party there in the beginning of the year and it was so much fun! We spent the whole morning there – started with muffins and mimosas – and we got hair, skin and nail treatments. It was a great time because they’re well-equipped for a large crowd. Just an FYI if you have a group of gals and you want to have a pamper party! Are you spending more time at work than at home? Can’t find time to relax? Take the advice of a seasoned business owner who’s been there, done that and learned valuable lessons from it all. She shares her secret strategies so you can achieve the balance you desire. Whether that balance lies in simplification or happiness, her tips for trailblazing toward goals will help satisfy your thirst for success. After hitting snooze too many times, your morning routine needs to be compressed into the amount of time it usually takes to pick out shoes! Learn quick tips for how to get board-room beautiful in no time flat. Your wardrobe should fit your style, but more importantly, it should fit you. Learn how one local lady works her magic to make that happen. What’s for lunch? How about a blood-pumping workout with a side of extra energy? These two exercise experts offer lunchtime workouts so you can return to the office — faster, stronger and more alert. Feel like you’re at the bottom of your own totem pole? This local speaker and author helps fit “you” into your schedule. See how you can dedicate more to others by taking care of yourself first. Wading through the digital world of social media can be a daunting task. Keep yourself in check and on the right track by following these tips from a local web-savvy senorita. Life can be one long tightrope as you try to balance your priorities. Learn how this local woman has found tools to keep from falling and a mentality that keeps her going. Procrastination has the power to paralyze anyone in its path who’s not prepared for its wrath. Our fitness guru shares secrets to success from his experience with a former exercise procrastinator. For most career women, retirement plans are the biggest source for post-career funds, but those plans are often neglected. Read on for tips to keep your retirement funds on track and in balance with your goals. Our Chic Chef offers helpful hints for saving your sanity in the kitchen. Learn more about her secrets to a successful (and warm) meal. Oooooh, my first blog on Cincinnati.com’s fabulous new LOL network. How do I start? What shall I say? And most importantly: What should I wear when writing it? Well, let’s just get this started on the right foot here. It’s chic. Not chick, cheek or schick. I picked that name for my Web site, CincyChic.com, two and a half years ago because it simply says so many things all in one little cute and compact word. It’s not too old, not too young, cute but not cutsie, classy but not stuffy, fashionable but not flamboyant, polished but not pompous. But I’ve quickly learned that chic is the most mispronounced and misunderstood word in the English language. In fact, a man recently called our office – who thought it was “Cincy Chick” – and asked how much our “services” were. But I digress. So…now that we’re clear on that… Cincy Chic. That’s what I get to do for a living! *pinching myself* I manage an online resource for women in Cincinnati. On the editorial side, we feature weekly articles about health, beauty, fashion, social and career topics and on the events side, we have ladies nights, lunch ‘n’ learns and philanthropic events. Coming up with new event ideas and unique people, products and services to write about is my main job responsibility. As you will see, I find them in the most peculiar places. Women’s restrooms are my favorite. This week, I found a little chic for everyone: Me, myself and I. All three looks are from the Michael Stars fall collection that just arrived at one of my favorite boutiques in Deerfield Towne Center, Missy and Jack. For the LBD-wearing, cocktail sipping Y.P. “me”: Scoop neck little black dress ($72) that can go from the 9-5 to happy hour. With the help of a blazer or vest on top or crisp button-down oxford underneath, it’s perfect for the office. Then, it’s ready for a night out with some chunky beads, cinch belt and a matching clutch. For the debutant, I-drink-tea-with-my-pinky-up “myself”: The statement necklace ($45). This piece knows it’s special. 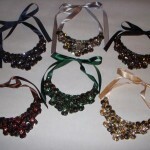 It knows that it can single-handedly transform an outfit from drab to fab. You certainly couldn’t wear this with a t-shirt and jeans. It’s a special occasion piece for sure. For the cute but comfy, simplistic but stylish “I”: The brown three quarter length sleeve dress ($79). I can see this with my camel colored kitten heels at the office, ballet flats for a casual brunch with the girls at Greenup Cafe or in cowboy boots at a Jewel concert. Might I just add that right down the street from this boutique is where I work out (Keep it Tight Fitness). Every day I go to work out with my two trainers (Melissa and Tawnia), I always think about all the new things I’ll be able to fit into next door at Missy and Jack! haha… Man, for a Ft. Thomas KY girl, I sure do spend a lot of time in Mason! I also discovered some cool gifts for people other than me, myself and I. I was at an expo event and ran across James Free Jewelers and they had the cutest cufflinks. My husband, Pete, is on the news so he’s always wearing suits and loves fun cufflinks. 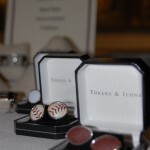 These are so cool because they’re made of real baseballs, golf balls and footballs! They’re a little pricey (Tokens & Icons, $165) but worth it if you have a sports fanatic you need to buy something special for. And Pete, if you’re reading this, try to act surprised when you get the golf cufflinks for Christmas! I also just learned that Pure Romance is expanding their brand. Instead of being in the business of making you want to tear your clothes OFF, they’re now in the business of putting clothes ON you. The Pure Romance rep I talked to said their new clothing line called “Bliss” just launched. The clothing catalog was hot off the presses, so I snapped a couple pics of it. She didn’t have any clothing examples in-hand yet (only available in pre-order right now). The catalog was only about 10 pages long, so it’s not a ton of stuff, but what they had was cute. Kind of had a Criss Angel-meets-Girls-Next-Door feel to them. Wait, that already happened. Stay tuned for my next post, which will be about some tres chic new espadrilles to hit the market in 2010 from the last company in the world you’d expect to actually make something fashionable.